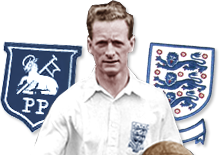 Much has been made of the goalscoring and playmaking exploits that made Sir Tom the stand-out player of his generation in England colours, but did you know that his international career ultimately outstretched his Preston North End days? One year into his retirement from the game he cherished so fondly, a 39-year-old Tom Finney received an invitation from the Football Association in the spring of 1961 to manage, captain and play for an FA touring squad of the Far East, Australia and New Zealand. Gratefully accepting the dream trip to a host of exotic locations including Hong Kong, Singapore, Wellington and Auckland, Finney set sail with the rest of the squad in mid-May with his job role clear from the FA, he was the boss. With the likes of Bobby Moore, Johnny Fantham, George Hannah and Preston North End shot stopper Fred Else amongst Finney’s ranks, the touring squad’s first stop off was in Kuala Lumpur. However, controversy struck almost immediately for the English men as they found out the news whilst in the Far East that the Australian FA had been banned from competition after being found guilty of poaching players without paying proper fees for registrations. Finney received strict instructions from base back in London that under no circumstances could they play any scheduled matches there, which angered their Australian counterparts. However, with the trip down under to come later that month, the FA touring squad set down to business with four testing fixtures in the Far East to set things off. First up was Malaya in Kuala Lumpur on the 13th May 1961, and Blackpool’s prolific centre forward Ray Charnley, who later in his career spent a brief spell at Deepdale, scored a hat-trick in a decisive 4-2 win. Hugh Lindsay scored the other goal for the Finney’s side as they started their tour with an impressive win, with better things still to come from the English men. Four days later and a trip 349km down south to Singapore witnessed Manchester City ace George Hannah be the hero with three goals in a resounding 9-0 win over the country’s national team, with Finney also getting on the score sheet. For the game against the Lions, Finney’s team selection came under scrutiny from a number of senior players in the camp following the inclusion of an untried 19-year-old in the starting line-up after he impressed the manager in training. Going against the thoughts of his team, Finney went on with the decision to include the youngster who went on to prove his worth with an outstanding display. The young starlet was in fact England’s future World Cup winning captain Bobby Moore, proving that Finney certainly had the eye to spot a talented footballer, and is regarding to this day as one of the all-time best defenders. Next stop in their penultimate game in the Far East was a 4-2 win over Hong Kong on the 21st May in the Government Stadium as the FA touring side maintained their 100 per cent record. More than 20,000 spectators turned out for the final match against Combined Chinese 11 to see the visitors win 3-0 and make it four wins from four games. With their trip to the Far East now complete, the tourists set sail once again and headed down under to Australia fully aware that their arrival might not be welcome with the squad under strict instructions they could not play any games. The news wasn’t met too warmly by the Australian football supporters and voiced their displeasure. It was down to Finney, the figurehead of the FA squad, having to come out and get involved in a media showdown and explain why they would not be taking part in any matches against the Australians. As a former player, the ban the English FA imposed didn’t apply to Finney as he was a former player, but as the gentlemen that he is, he tried to explain to the hosts that he could not possibly take on the Australian team on his own. To defuse the situation, Finney took it upon himself to promise to stage some training sessions before they crossed the Tasman Sea to a much calmer New Zealand. With their last game over a week ago, the players were itching to get back to action and showed their dominance with a 10-0 win over Otago in Dunedin with Fulham man Bobby Brown and Hugh Lindsay both grabbing hat-tricks. Their high goalscoring continued with an 11-1 win over Canterbury in Christchurch on the 3rd June, with Finney scoring twice and two days later an 8-0 win over New Zealand national team with Finney again finding the back of the net. The games were coming thick and fast for the FA touring squad in New Zealand with only two or three days break coming between each game. Despite Finney’s retirement one year earlier, he showed he had not lost his touch as he scored his first hat-trick of the tour in the 13-0 demolition of New Zealand Minor Provinces. Preston’s most famous son scored a brace in the clash against New Zealand on the 10th June a 6-1 victory and followed on with a fantastic four against Auckland four days later in a 8-0 win, the FA touring squad’s last game in New Zealand. Making the trip to America, Finney’s men finished their tour with a 2-1 victory over San Francisco on the 19th June to ensure that they headed back to British shores with a 100 per cent winning record after 11 games. In total the squad scored 78 goals and conceded only seven times, as Finney, despite been the oldest member of the squad finishing joint top goal scorer with 13 goals alongside Fantham and Charnley. After the FA touring squad’s sterling record, which saw the side chalk up back-to-back wins over New Zealand in Wellington and Auckland, scoring 14 goals in the process and conceding only one, Finney fancied his chances at management but never ended up pursuing a career from the dug outs.